This summer Lakmé brings you a vivacious collection of colour tints to make your lips and nails ‘pop’ in true diva style. The Lakmé Absolute POP TINT collection is a kaleidoscope of bright and happy colours, which captures the spirit and exuberance of the contemporary Indian woman. Turning up the heat a few degrees, bold hues of neons, sorbets and jellies from this limited edition collection represent the style statement for spring/summer 2013 internationally. 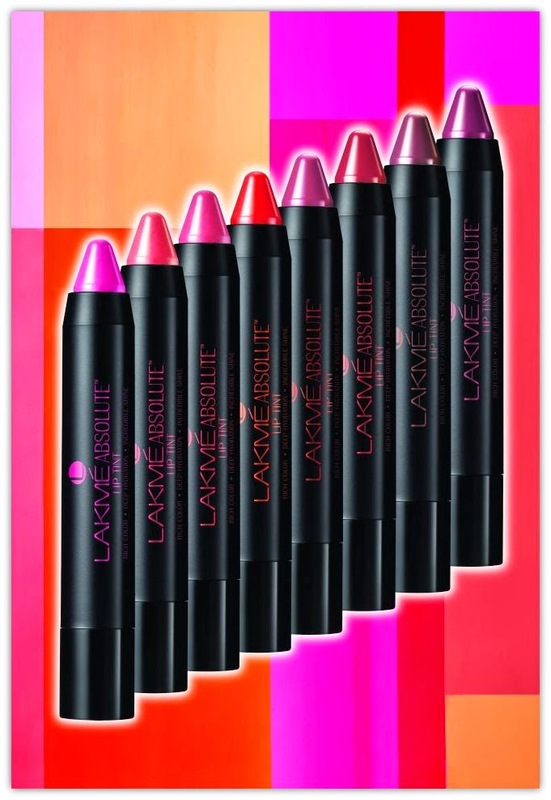 These thick creamy pencils in 8 pop shades deliver rich deep color and incredible shine in just a stroke, to give you lips that pop like it should. 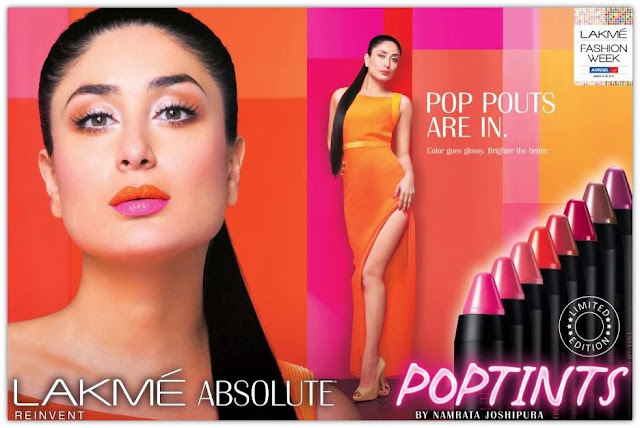 A high performance make-up collection of lip tints in shades of summer, including bright orange, vivacious pink and flaming red for that amazing “read-my-lips” pout. Pink Sorbet, Candy Kiss, Peach Please, Orange Tease, Berry Pink, Plum Rush, Grape Hint, Wine Punch. From the above swatches, Pink Sorbet, Wine Punch, Orange Tease, Berry Pink and Plum Rush looks nicely pigmented while Grape Hint, Candy Kiss and Peach Please looks quite sheer.